I love a good stripe, especially in the home. Striped walls and striped things are everywhere these days. 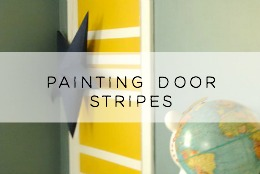 I have been wanting to paint a striped wall in our hallway forever and have never gotten around to it. 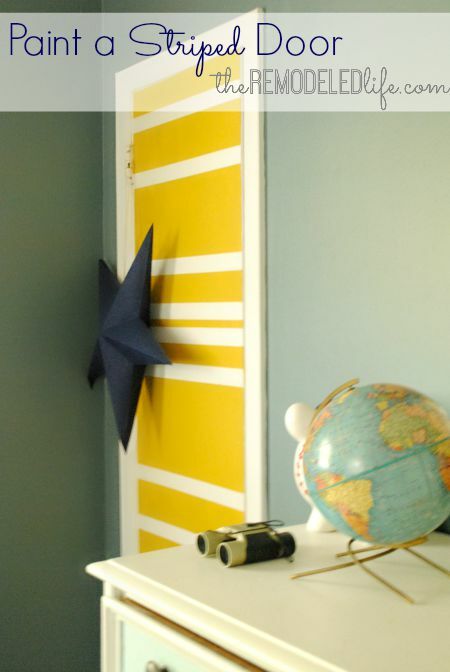 So when we were updating and transitioning our little boys room into a bigger boy room I decided it was a great time to go for stripes. I went the easy lazy route and decided to make the stripes all different sizes instead of trying to measure out each stripe the exact same. I thought for a little door it would be fun. So yes, I just eyeballed it. Its not exact or perfect but with the stripes being different sizes it works. 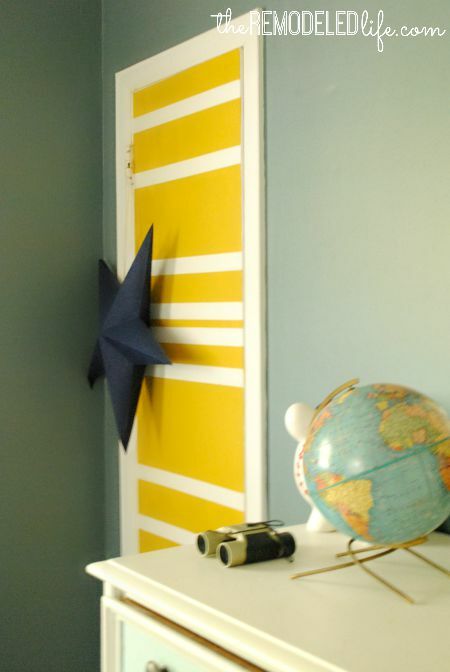 This project was really a cinch - tape up some stripes and paint the door. Simple. Isn't it so cute? I love it! It adds so much fun and a little brightness to his room. And as you can tell, this is a lived in little boys room. 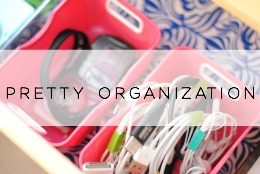 It has bins full of random toys, stickers stuck on things and homemade projects on the walls. 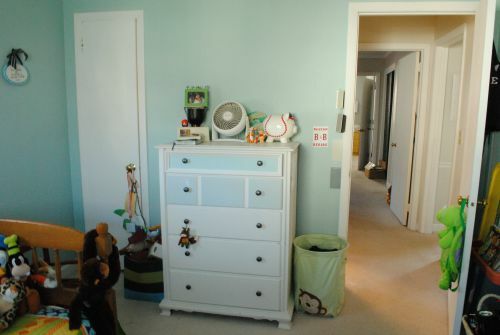 I see all of these kids rooms on pinterest that are perfectly organized and decorated without hardly a toy in site. I'm not sure how that works but I'm really happy with how his little space turned out - its his. Next on the list of things to do in here is to change out the door handles. 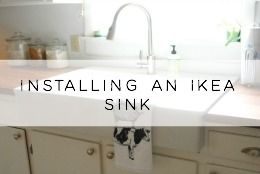 I have had the new ones for months now - but they were way more complicated looking to install than I thought so I have put them off. Eventually he will have some updated oil rubbed bronze door knobs to go with all of the other finishings. 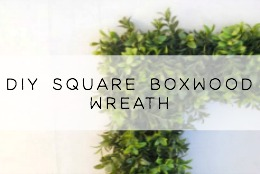 Those little finishing seem to make such a big difference when all together. 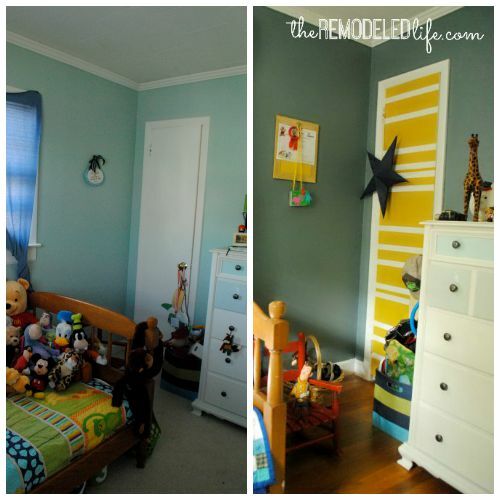 Its cool how a little paint can transform a space. 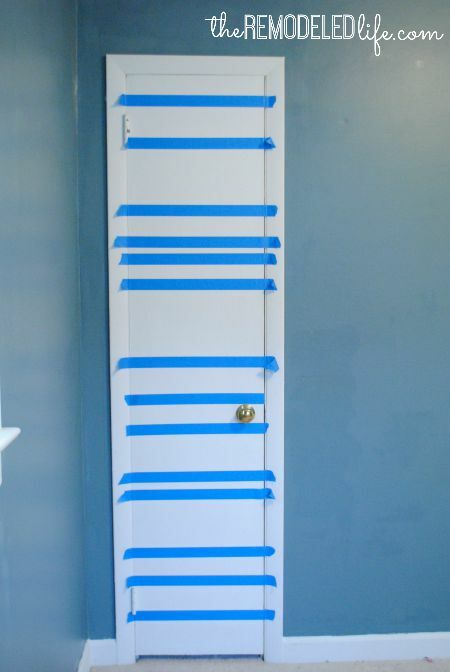 Do you guys have any stripe projects in your home? A wall, door, some furniture? Share with me! Hi Megan! 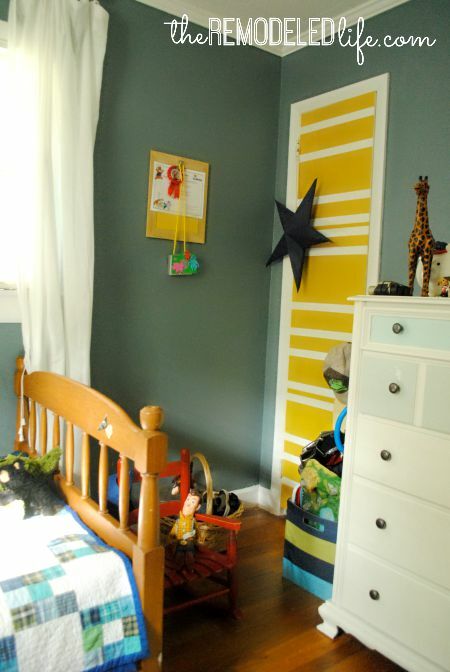 Found you via Faithful Bloggers :) I painted stripes in our small entryway half bath! I was so pleased with how they turned out and guests comment on them often! However, if I were to do it again, I think I may buy the better tape because my lines aren't crisp. In a bigger space I don't think I would notice this, but in a small little room where you sit and stare with nothing else to do, I think its more noticeable :). 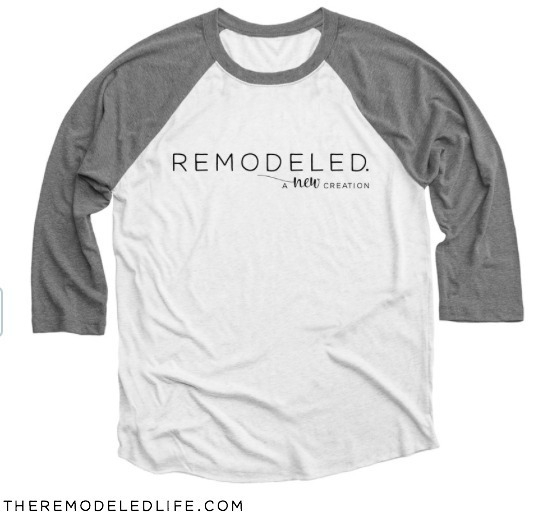 Looking forward to checking out some of your other posts!! 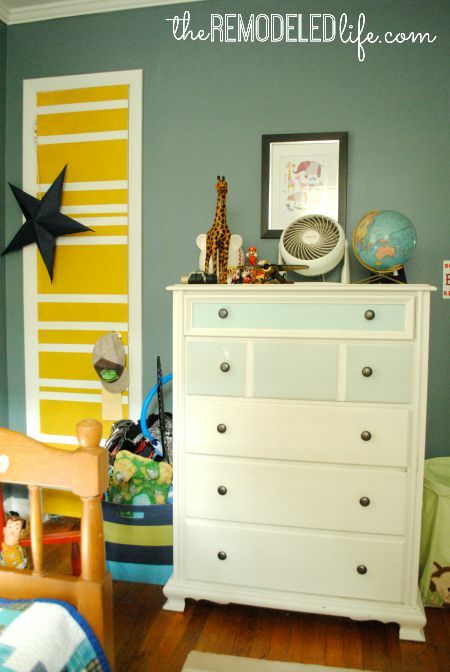 Wow that simple painting project made a huge impact! It added so much character to that cute space!